If you own a metal garage then you already know its many benefits. 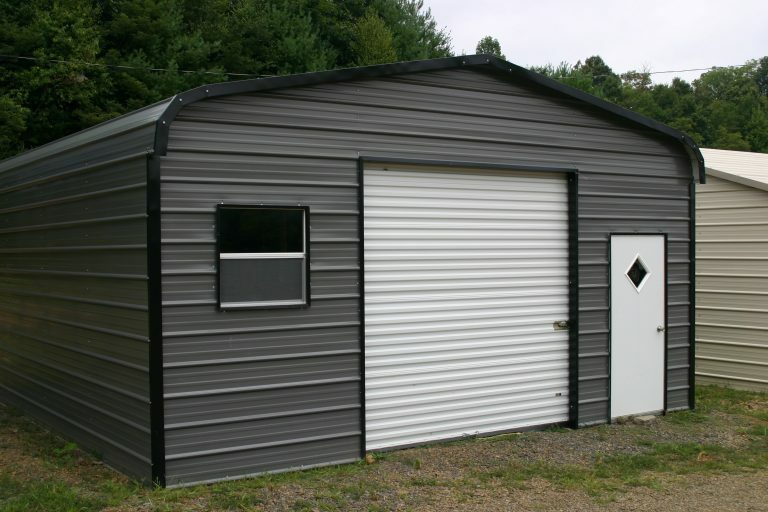 Metal garages keep your vehicle safe from sun, rain, snow and ice. They also make the perfect storage space for your tools, lawn equipment and extra storage – not to mention, they make a great workshop for the do-it-yourselfer. Inspect It: Check your metal building at least twice a year to assess for any damage caused by harsh weather, an accidental bump from a vehicle, or other causes. Wash It: When the metal panels begin to show signs of dirt and dust simply prepare a mild cleansing solution and then gently wash the building’s exterior using a low-pressure spray washer or a soft rag or sponge. Rinse the building thoroughly with clean water. Make this an annual habit, and you’ll have a metal building that looks as great now as it did the day it was built. Repair It: Small holes or scratches might not seem like a big deal, but when exposed to the elements, they can grow into bigger problems. By promptly filling small holes and priming and painting scratched paint, you can stop further damage before it starts.